Physical therapy (physiotherapy) involves the assessment and treatment of disorders of the musculo-skeletal and nervous systems causing impaired physical function. The goal of the physical therapist is to enhance the individual’s capacity for functional movement, thereby maximizing independence. Here at the Gelb Sports Medicine & Orthopaedic Center, physical therapists work in close proximity to orthopaedic surgeons − frequently consulting and collaborating − to ensure that customized plans of care achieve optimal outcomes. Physical therapy may be prescribed by a physician to treat injury or chronic conditions, so that the body has an opportunity to heal properly without the need of invasive procedures. Physical therapy is also extremely helpful for patients in post operative recovery, including those who may have undergone any of the following procedures: total joint replacements, acute sports injuries, arthritic conditions, and postural deviations. The key to a quick and healthy recovery is the appropriate balance of therapeutic exercises (strengthening and weight training), manual therapy (stretching and joint mobilizations), therapeutic modalities (electrical stimulation, ultrasound, light therapy) and reassessment of progress to attain functional goals. 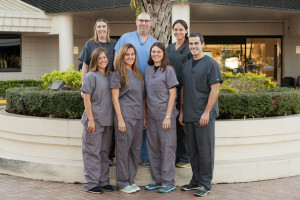 By offering physical therapy at our Boca Raton office, the Gelb Sports Medicine & Orthopaedic Center is able to save clients valuable resources and provide treatment in a safe, comfortable, familiar setting.